The NADRA Child Registration Certificates (CRC) also known as B-Form is a registration form which is used for the registration of individuals aged below 18 years. Now it has become extremely important for parents to get their children (Aged under 18) registered as a CRC is required for various purposes like admission in a educational institute. 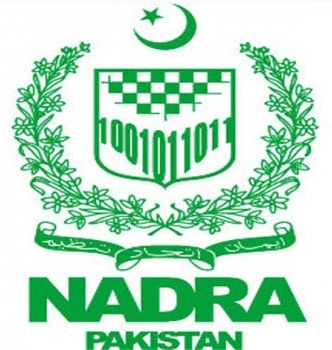 So for the facility all visitors, below on this page we have provided the NADRA B-Form for free download online. For the ease of filling the form, the B-Form is available in both Urdu and English languages. The form can be downloaded through just one click and after filling all required details, it can be submitted at any National Database and Registration Authority (NADRA) office. The process of getting a NADRA Child Registration Certificates (CRC) is extremely quick and simple. All you have to do is to download the B-Form through this page, get a print of it, fill all the required information and submit it to the nearest NADRA office. The only documents required to be attached with the form is a Birth or School certificate for applicants aged over 10 while the ones having aged below 10 does not need to attach any documents. You will be charged a minor fee of Rs.50 against submitting the B-Form at NADRA office. Once you have submitted the form, you can receive the Child Registration Certificates (CRC) after 5 days of form submission. mery bachoo k birth certificate bany hovy hain kya birth certificate computerised k baad b forn banwana pary ga ya yeh aik hi document hy ???????? Yaar bhaio aap log NADRA office k bahr bethy bandon ko pese lagao sab kaam karwa dein gy. Ye bandy ander walon ne he chhore hote hein.yaqeen nahi ata tou ja kr check kr lein har kaam ho jaye ga. Helloo!! Sir please bta den k 21 year wale ka b.form ban sakta ha ya nai? my all kids have a nicope .can i take b from .from nadra office. B-form bhi zarori hai ke bwp se hi banay ga. Ya kisi aur city se ban sakta?